Taking good care of our things allows us to make the most of them. That is especially true when it comes to jewelry. A well-maintained piece could be worth the same today as on the day you bought it. For that reason, it is important to properly take care of our gold jewelry. Also, if you are thinking about selling some of your gold pieces, you should know that well-kept jewelry is worth more than that in ill condition. If you want to learn how to maintain — or increase — the value of your jewelry, keep reading. We have made a list of top three tips that will help you keep your pieces in the best state. The whole point of jewelry is to look impressive; and in order for it to look that way, it needs to be clean. However, impurities and dirt can accumulate on it, even if we don’t wear it regularly. Luckily, cleaning our jewelry isn’t a complicated task. A brush with soft bristles, some warm water, and a specialized soap will go a long way. If you decide to clean your jewelry on your own, you should be gentle; some metals such as gold can get damaged in the cleaning process. Another option is taking your jewelry to an expert who will polish it professionally. If you own a piece that is an absolute masterpiece but it has some minor imperfections (lost baguettes, loose gems, small inlays, broken buckles or straps, etc. ), you can take it to a reputable jeweler who will restore it. By having your jewelry repaired, you will increase its value. Then, you can start wearing it again, or — even better — you can sell it for a great price. All genuine jewelry pieces come with documentation that specifies its origin, the designer’s name, materials used, year of production, etc. Moreover, the documentation highlights impressive qualities of your pieces, which is a bonus if you plan to sell your jewelry. In order to get the best offer, you’ll need to present the papers for the piece(s) that you want to sell. That way, nobody will be able to devalue your jewelry and offer you a dishonest price for it. We are The Gold ATM — the most prominent jewelry buyer, watch buyer, gold buyer, and diamond buyer in Atlanta. If you are thinking about selling your valuables, we are the right place to visit. 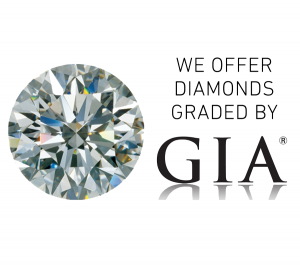 With over 300 five-star reviews on Google, we are the highest-reviewed gold, diamond, and watch buyer in the area. Our customers know that they can trust us and that we will provide the best prices for all of their fine jewelry pieces. Visit us in Atlanta, Roswell, or Hartsfield and we will provide a free evaluation of your jewelry. Moreover, we will give you the best offer in the city. For more information about our services, please visit our website.